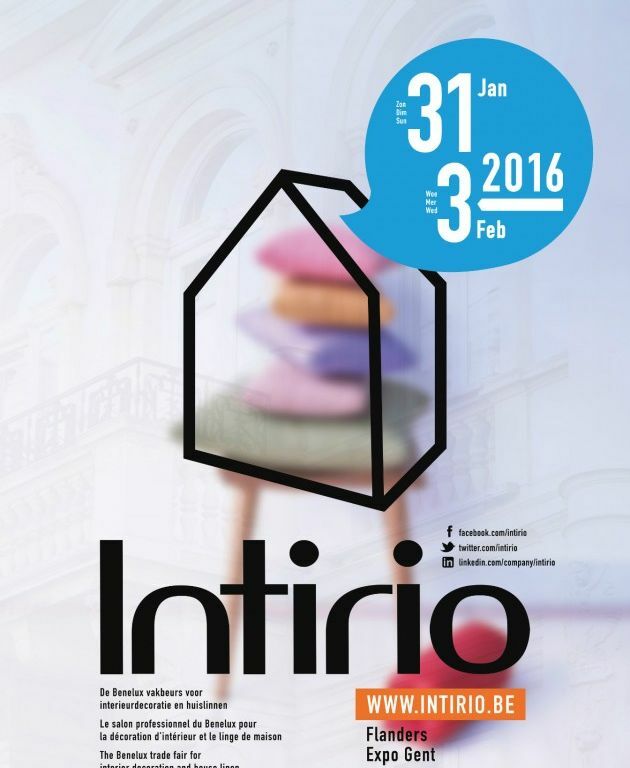 INTIRIO 2016: Curious about the new collection? 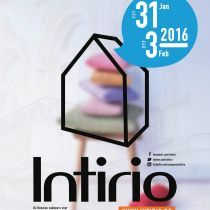 This year, we will put back our new collection in the spotlights during Intirio Ghent! Come visit us and get inspired! Dussk proves again to be very innovative and creative. 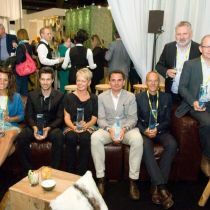 After winning the Blue Drop Award for Best Innovation Design last year, Dussk won the Blue Drop Award for Best Window Covering last September! Twin Brothers is a double sided window fabric which creates different atmospheres and looks. When the natural light shines on its colored backside a whole new color shades appears. In the evening, under artificial light you will see a yet another totally different aspect. 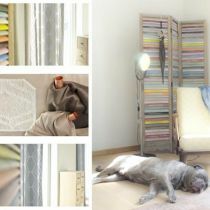 The combination of the colors creates a subtle structure within this elegant and stylish woven fabric. we are delighted to share this wonderful news with you! Just recently we attended MOOD (meet only original design) in Brussels and joined the competition for most innovative fabric on an international level. 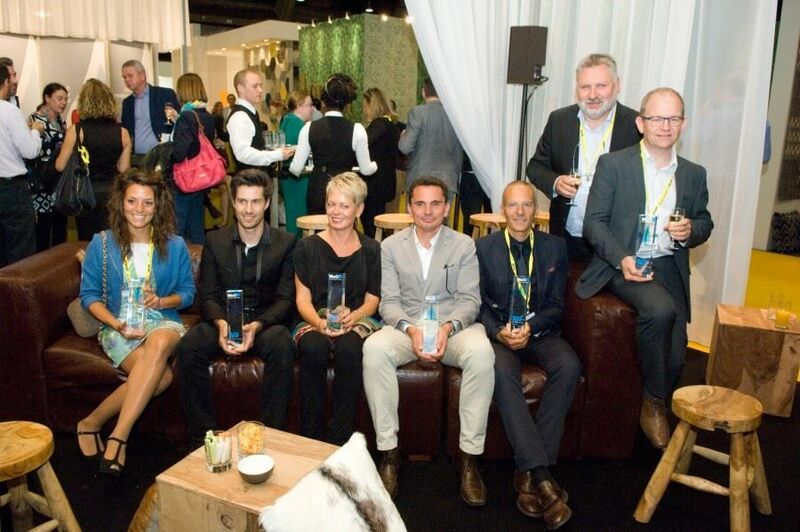 Two of our fabrics were selected by a jury and one took home this prestigious award. Our fabric Dig Deeper was selected by a professional jury for its play with light. Our special creation looks like a plain with herringbone structure when its dark ar when folded, but when you open it up and light shines through, a very distinctive geometric design shows. We are extremely happy with this award and will not let down to keep innovating and for sure in the next collection you’ll find more jaw dropping material.